An article in the Ham & High local newspaper of 19th July 2017 reported that police recently evicted squatters from empty cafe premises (ironically the premises were formerly called the "Legal Cafe"), in Belsize Park, London. The cafe was in the process of refurbishment. 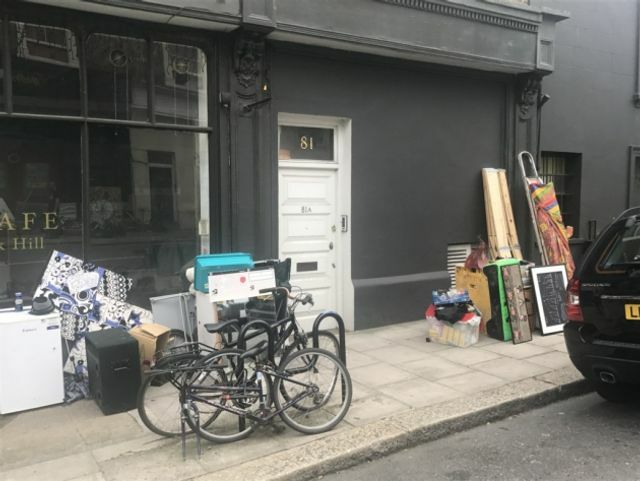 This eviction came as there have been other recent attempts to squat in vacant commercial premises in Belsize Park, South End Green and Hampstead. The criminal offence of squatting only applies to squatting in a residential building. It does not extend to non-residential buildings i.e. buildings not designed to be lived in. The owners of commercial property occupied by squatters will therefore have to rely on the civil law and seek a court order in order to evict. Owners of non-residential property will only be able to involve the police if there is evidence of criminal damage. Since the introduction of the criminal offence for squatting in residential property, the focus of groups intent on squatting has shifted to vacant commercial property. Advice to this effect is readily available on the internet. This is a serious problem for owners of vacant commercial premises and for residents of mixed-use property with flats above a shop or a public house. Owners of empty commercial properties should therefore ensure that their properties are secured, disconnect utilities, remove objects which could be of use or value for squatters and consider a temporary rent-free occupation arrangement such as using a property guardian company. They are also well-advised to consult with their insurers to see what measures their insurers may require. Will landlords be paying their way on energy efficiency improvements to residential properties? The landlord's choice: commercial rent arrears recovery mechanism or forfeiture?